Only cards issued by a banking or financial establishment located in the European Union or in Monaco will be accepted. Destination Toledo will check every accepted form of payment and reserves the right to refuse the management of a transaction, sale or shipment in case of suspected fraud or illegal activity. For more information about our anti-fraud policy, see our General Conditions of Sale. Whenever you do tourism it is advisable to wear comfortable shoes that allow you to take long walks to get to know a new city, but this recommendation becomes almost obligatory in Toledo. Its magical streets are covered with a cobblestone road where walking with heels becomes “mission impossible”. To make the most of your visit to the city, Destino Toledo offers you the most complete guided tours so you can get to know each magical corner. In addition, there is a growing offer of cultural and leisure activities in Toledo: the Urban Flyleaf Fly Toledo, wine tastings from the best wineries in the region, such as Eno Diffusion, the Time Capsule show … you can combine with your guided tour at the best prices. Toledo is famous for its labyrinthine streets, in which even a Toledano can easily get lost; that is why it is highly recommended to have a map of the city at hand at all times. 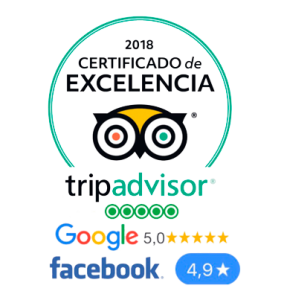 You can request it at the establishment where you stay or at any one of the Tourist Offices, such as the House of the Map in the Plaza de Zocodover. There are also free applications for smartphones and tablets that can be very useful with geolocation, such as Be Your Guide Toledo. If you come with your car you should know that much of the old town is a pedestrian area, so you have limited or no access to some streets, whose only access is for residents. Public parking is scarce inside the walls, most of which is taxed with O.R.A. or exclusive for residents. In addition, some Toledo streets may surprise you with sudden narrowings that leave your car stuck. But do not despair! There are several alternatives when coming with to Toledo with your car. There are several private parkings in the old town, where for between 13-16 euros a day you can leave your vehicle. You can also find free parking like the one in front of the bus station from which you can reach the historic center by taking a walk to the escalators. We recommend that, if you come with suitcases, you should previously inform yourself of the access to the hotel in which you are staying as there is the possibility of accessing it with the car to leave the suitcases and thus avoid a ride loaded with luggage. Toledo has two large festivities: Holy Week and Corpus Christi. If you want to get to know the city with your best clothes on without a doubt these are the best days, but at the same time the ones that are most in demand. Therefore, book accommodation, routes and activities as early as possible. Nihil anim keffiyeh helvetica, craft beer labore wes anderson cred nesciunt sapiente ea proident. Ad vegan excepteur butcher vice lomo. Leggings occaecat craft beer farm-to-table, raw denim aesthetic synth nesciunt you probably haven’t heard of them accusamus labore sustainable VHS. Once the new product has been confirmed, you can continue with your purchases or finalize the order. Click on “Place order” to access your basket. 3- Once in your basket, you can check the products that have been added. If necessary, you can modify the quantity, add or delete a product. At that time you will know the amount of your discount. The total amount of your order will be updated. 1- Last step of the order. In this step you can carry out the necessary checks and modifications through the order summary. Once this verification is done, you can proceed to the payment. 2- Select the payment method. If you want more information about accepted forms of payment, click here. If you pay by bank card, you must indicate the card number, the CVV2 and the validity date of it. 3- If you pay with a gift card, indicate the number of the card and the confidential code, which you will find on the back of it. The field “gift card” must be filled only in case of making a payment with the gift card. Once the payment is made, a new page will appear with the summary of the order: your products, the delivery method, the total amount, etc. An e-mail order confirmation with the products purchased and the total amount of your order. Once the purchase is made, the customer will receive the email that has indicated the confirmation of the operation with the data relative to the product that he has purchased. For most routes and for routes with the category of “weekly routes” it is necessary to book 2 hours in advance. The product price will be the one included in the catalog, which does not include the relevant taxes. – Payment Gateway / Payment by card This option also includes payment by credit card. – Payment on the route. For this option, please take the exact and cash money. You can cancel or change the date as long as the deadline for it has not exceeded. Both cancellations and date changes are completely free, provided they are done in a timely manner. If you are a registered user you can enjoy many advantages: exclusive offers, accumulate points to exchange for other activities, keep up to date with the latest news, etc. To recover your password, go to the identification page. 1- Enter your e-mail address and click on the validate button. A link will be automatically sent by e-mail to obtain a new password. 2-Go to your email account and click on the red link. 3- Once on the page, choose a new password and confirm it. Then, click on the validate button. Your password will be modified and you can connect to the page. You can continue your visit and your purchases. If you try to connect to your account several times in a row without success, an automatic block can occur. To request a new password, you can also contact the Customer Service Center from Monday to Friday, from 10:00 a.m. to 8:00 p.m. We will send it to you by e-mail so you can unlock your account. Do you want any recommendation before visiting our city?